While I like to focus most of my attention on relaxing, reflecting on the past year, spending time with loved ones and new recipes around the holidays…it is also important to focus on our health and nutrition! My friend Shira Lenchewski (cutting edge nutritionist extraordinaire! ), is stepping in to help us navigate (and eat!) our way through this holiday season without sacrificing our good moods and all our hard work at the gym! Shira is awesome…and really knows what she’s talking about! Not only did she earn her undergraduate degree from UCLA, she also has a masters degree in clinical nutrition from NYU. Smart little cookie! Shira’s Mindful Method™ is built on a clean-eating lifestyle, emphasizing whole, organic foods with big flavors. She helps clients navigate portion control and hunger/satiety cues, allowing them the freedom to incorporate their favorite foods in moderation — all without a guilty aftertaste. The ultimate goal is to develop a positive relationship with eating, allowing clients to enjoy good food (and wine), and look great in their favorite clothes (and without them). Now you are speaking my language! 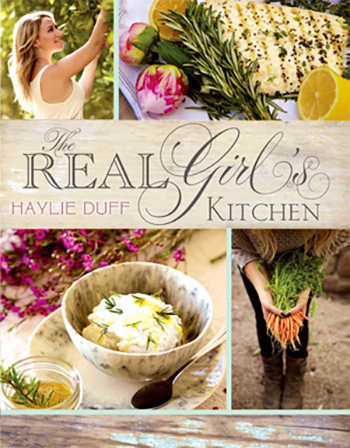 Lucky for us, Shira is joining The Real Girl’s Kitchen family! Look out for Shira’s 7 Simple Steps for a Trimmer Turkey Day…coming soon!